Janie “Tootsie” Decker, 87, of Beaver Dam went to her heavenly home on Wednesday, November 28 2018 under the care of Hospice of Ohio County. She was born June 19, 1931 in Ohio County, Kentucky to the late Brinkley Moore and Alice Embry Moore. Tootsie was a homemaker and of the Methodist faith. She was a dedicated member of the Ohio County Hospital Lady’s Axillary. Aside from her parents she was preceded in death by her husband, Alva D. Decker; one son, Edgar Black; two daughters, Anna “Kat” Winstead and Paulette Shaffer; one grandson, Willie Winstead; one brother, Estil Doran Moore; one sister, Martine Stolarz; and one son-in-law, Mike Abney. Survivors include one son, Dale (Jackie) Decker of Beaver Dam; one daughter, LaDona Abney of Beaver Dam; six grandchildren, Shawn Shaffer, Jason Decker, Jarrod Decker, Jamie Abney, John Abney and Keri Abney; several great-grandchildren; one brother, Tommy (Margie) Moore of Chipley, Florida and several nieces and nephews. Funeral services will be held at 1:00 P.M. Friday, November 30, 2018 at William L. Danks Funeral Home in Beaver Dam, Kentucky with Rev. Recie Young officiating. Burial will follow in Sunnyside Cemetery in Beaver Dam, Kentucky. 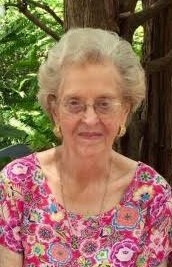 Friends may visit with Tootsie’s family from 10:00 A.M. until the time of the service Friday at the funeral home. Online condolences may be left for the family at www.danksfuneralhome.com.